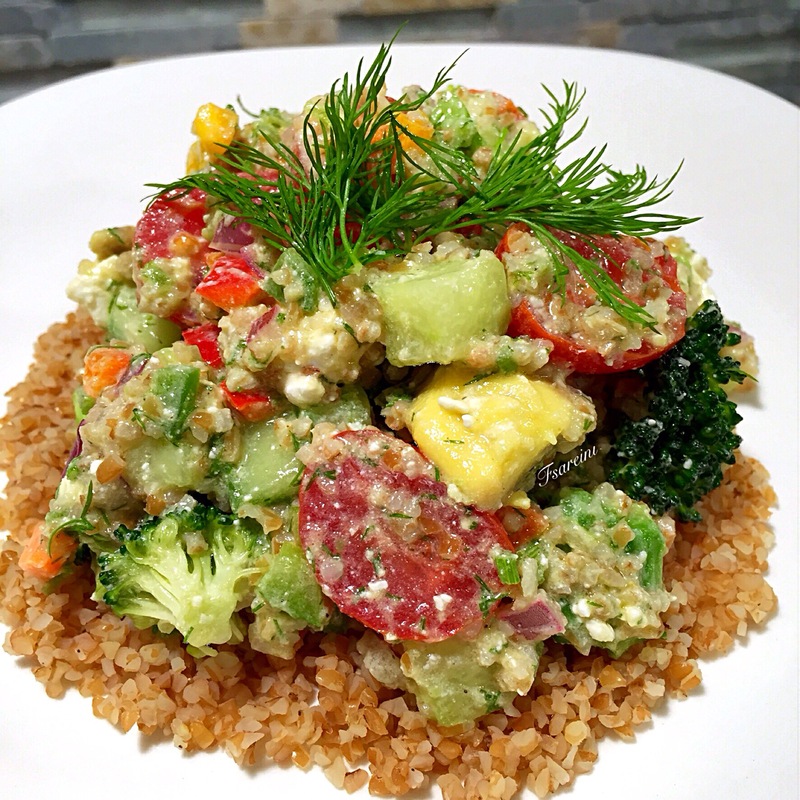 In a medium sized bowl, add one cup boiling vegetable broth to one cup bulgur wheat. Tightly cover with Saran Wrap and set aside. Mix the remaining ingredients in a large bowl. Add the soaked bulgur wheat to the salad, and gently stir all of the ingredients together. Enjoy!